The main element of the roll crusher is a cylindrical roll, rotating on the horizontal axis. 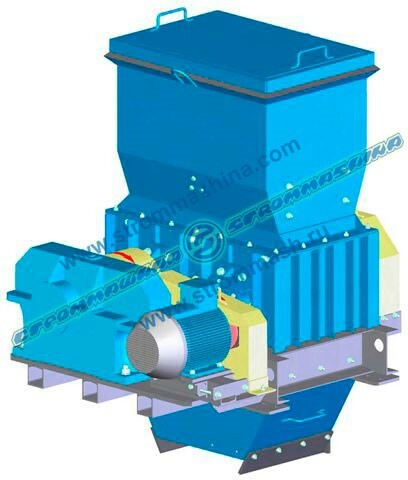 The material to be crushed is fed from the top, it is drawn between the rolls or between a roll and crusher chamber lining, which results in material crushing. The roll crushers are used for medium and fine crushing of medium-strength materials on smooth and corrugated rolls and soft materials on toothed rolls.